The Nenskra hydropower plant is a dam project of 280 MW and considered a the most advanced of Georgia's massive plans for hydropower installations in the Upper Svaneti region. The project is located on the river Nenskra, up stream to the Khudoni dam. On Monday, August 31, 2015, the Partnership Fund of Georgia and South Korea’s K-Water company executed the key project agreements to develop and construct the 280 MW hydropower plant under the BOT scheme (Build-Operate-Transfer). Apart from serving the national demand, the project might also export electricity to Turkey . According to Bankwatch, as has been the practice with other hydropower projects in Georgia, the Nenskra implementation agreement signed in August 2015 is confidential, so many details about land appropriation and tariffs are unknown. The Nenskra Hydropower Project has a total investment value of $1 billion and is the largest foreign investment in the country since Georgia gained independence from the Soviet Union. The European Bank for Reconstruction and Development (EBRD) has agreed in May 2015 to provide US$200 million for the project. Nenskra is also being financed by the Asian Development Bank and Export-Import Bank of Korea. The tender for the construction of the plant worth $575 millions was won by Italian industrial group Salini Impregilo. The construction started in mid 2015. The project is planned for completion by 2019, but receive high protests from local inhabitants that claim potential negative impacts have not been properly assessed. According to Bankwatch campaigners, "the recently published cost-benefit analysis  contains gaps like a comparison with investments in energy efficiency as an alternative to the Nenskra dam. More importantly, it doesn’t really include an analysis of any costs. Project Details The project consists of a dam, pressure tunnel, surge tank, penstock and powerhouse. 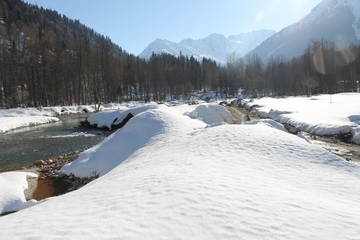 Additionally a transfer tunnel will convey the water from Nakra river to the new Nenskra dam reservoir to improve the performance of the Project. 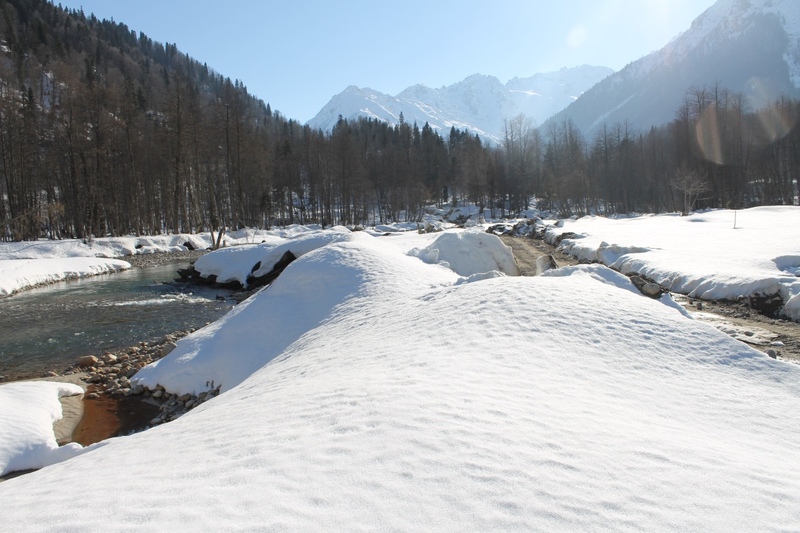 An asphalt faced rockfill dam (AFRD) has been selected considering the site conditions in the Nenskra river basin. The peculiarity of the structure is the 65 m deep Cut-Off wall to be realized throughout the alluvial deposit on the river bed. Potential Affected Population 300 families live in Chuberi and 80 families in the village of Nakra. European Bank for Reconstruction and Development (ERBD) - The European Bank for Reconstruction and Development has agreed to provide US$200 million for Georgia's 280-MW Nenskra hydropower plant. Other Given the scale of existing and new hydro developments and supporting infrastructure projects (bypass and access roads, additional high voltage transmission lines and substations and so on), a strategic environmental assessment of the existing and planned plants should be conducted to evaluate the impacts and avoid an excessive burden on river ecosystems. 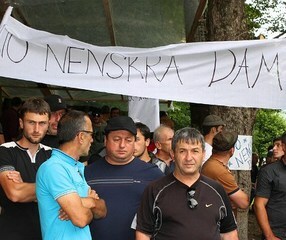 The current Nenskra ESIA fails to assess the cumulative environmental and social impacts of all projects combined. Other issues discussed during the congress included the need to agree on the strategy for preventing the planned construction of the Khudoni hydro power plant (Khudonhesi in Georgian), including all seventeen communities in the decision-making process regarding planned hydroelectric and mining projects, and develop a legal framework for protecting lands under traditional ownership, which are vulnerable to takeovers by the government and companies. 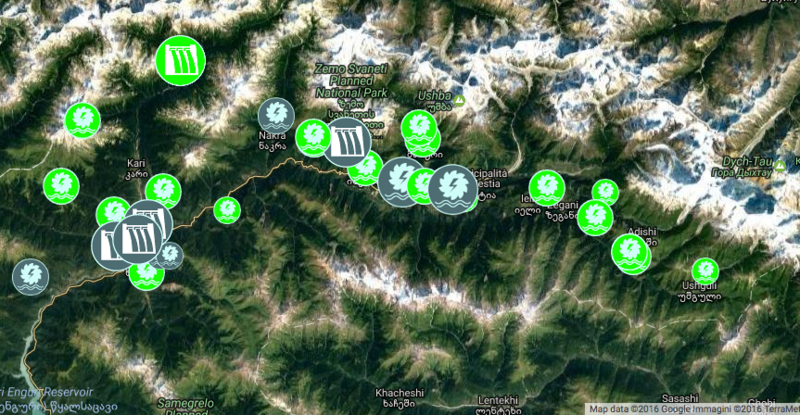 The congress also concluded that Svaneti’s model of development should move away from hydroelectric infrastructure projects and focus instead on development of ecotourism and agriculture. Why? Explain briefly. The people of Chuberi and nearby villages know the experience of the Svan communities living downstream in Khaishi where the 702 MW Khudoni dam is planned to be built. 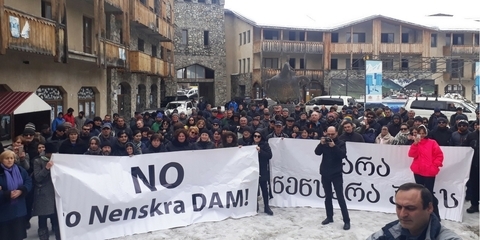 The Georgian state sold their ancestral lands for next to nothing to the Khudoni dam promoter. The lands and the dam remains a subject of fierce protests to date. This has made people coming together with more awareness of what is going to happen. An ancient traditional congress of respected people from the village has been called back. The resistance is still ongoing.